April 2019. Thanks again, National Science Foundation! 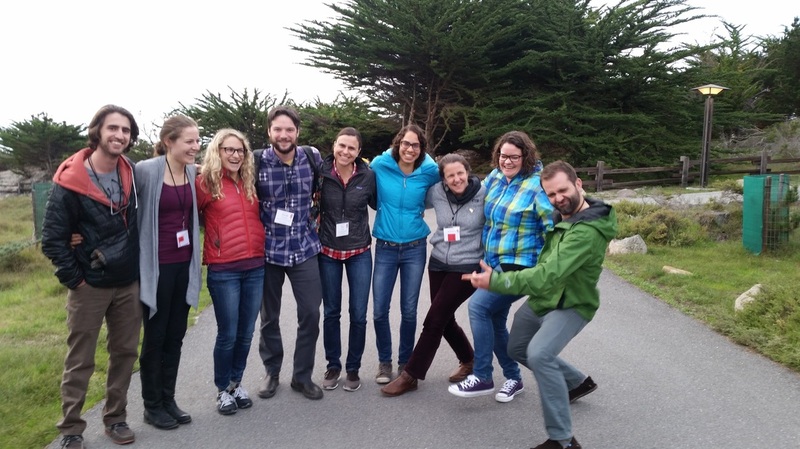 and huge congratulations to Drew Schield for his NSF postdoctoral fellowship award! March 2019. Thank you, National Science Foundation! Iris Levin, Bailey Fosdick and I have some seriously fun work to do on our newly funded grant: Linking process to pattern through an experimental network approach to identify the behavioral mechanisms of reproductive isolation. March 2019. 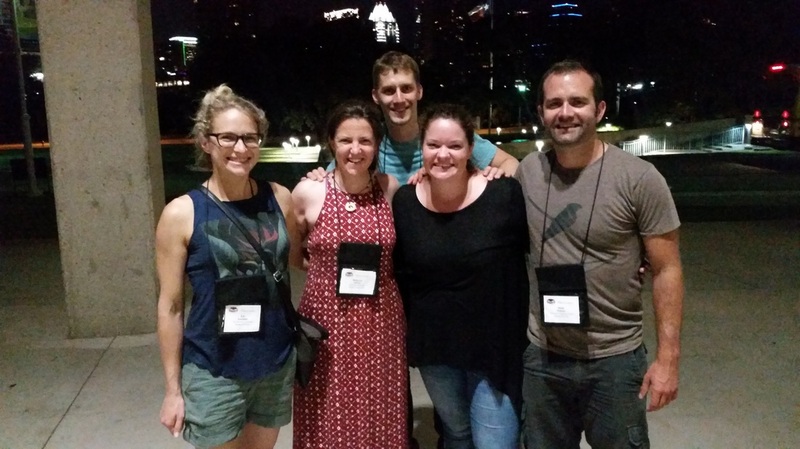 Gordon Conference on Speciation! 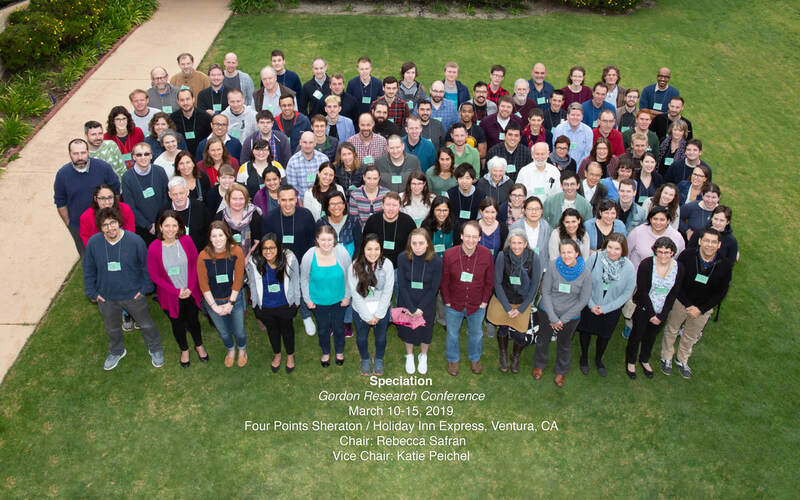 Katie Peichel and I just co-ran the third Gordon Research Conference on Speciation in Ventura, CA. So many great talks and people! We're looking for motivated undergraduate students interested in research for our summer field crew! 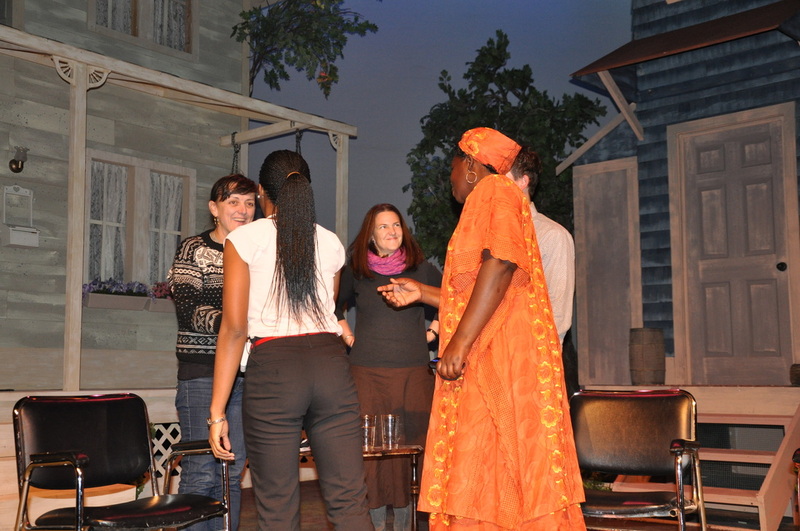 Check out the Join us! page for more information and a link to apply. December 2018. Congratulations to Molly and Javan! Molly (November) and Javan (December) passed their third semester exams! This is an important rite of passage for a graduate student - a three hour oral exam on anything related to Ecology and Evolutionary Biology. Well done! November 2018. Javan co-leads panel at CU Diversity Summit. Start Small: What Departments Can Be Doing to Be More Inclusive. This session examined how small scale changes can have a broad impact on the success of students from marginalized backgrounds. Great work, all! October 2018. 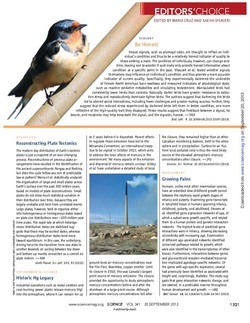 Our study on demographic history of barn swallows is featured in the Colorado Arts and Sciences Magazine! Check out a write up about our recent paper led by Chris Smith. 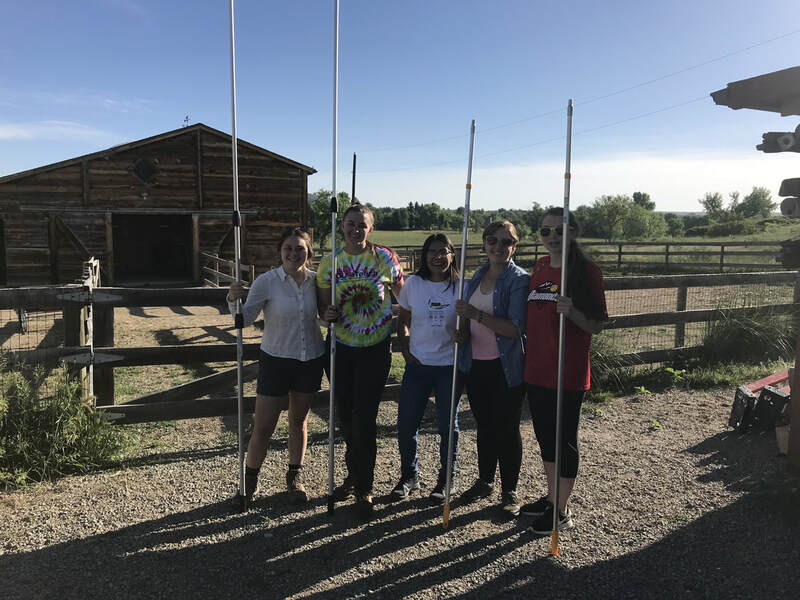 Becca, PhD student Molly McDermott, and Aaron Treher (MFA, Art & Art History) recently hosted a community art and science event at the Cargill Ranch, a longtime Safran lab research site and home of Barb and Richard Cargill. Over the summer at the Cargill’s, Aaron and Molly collaborated on a structure that is both art installation and barn swallow habitat: The Observation Station. Aaron designed and built the structure, and Molly studied visitation rates of barn swallows to the structure under various conditions. Side by Side included a series of presentations from artists and scientists including Becca, Aaron, and other researchers from the Safran Lab: postdoc Georgy Semenov and undergraduates Elena DeAndrea and Abby Marynowski. Guests enjoyed light lunch, kids activities, a poster session, and a tour of the nesting area including the Observation Station. Side by Side and the Observation Station were made possible by the generosity of the Cargills, NEST Studio for the Arts, The Art and Rural Environments Field School, The Sculpture and Post-Studio Practice Area, and Inside the Greenhouse. 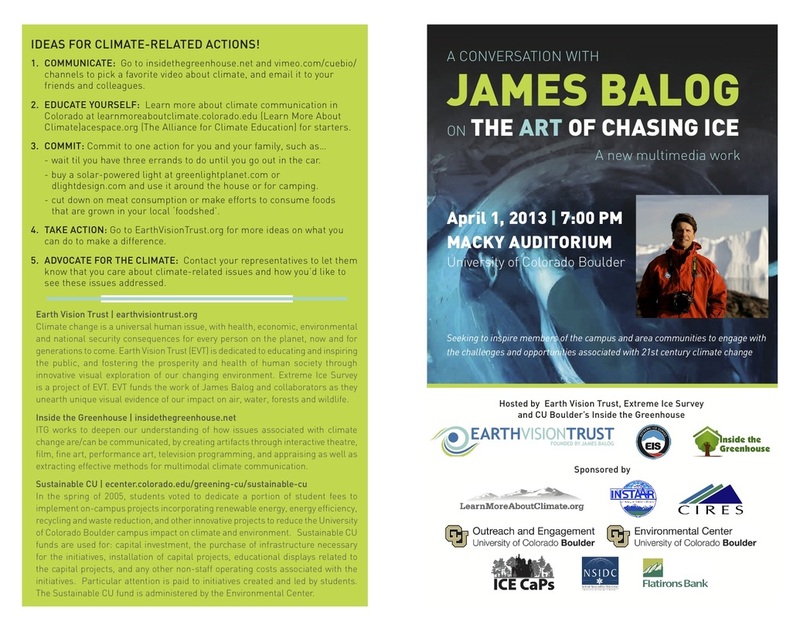 Read CU Boulder Today’s feature on the project here. Check out more of Aaron's work here. Lots of lab folks, in and out! 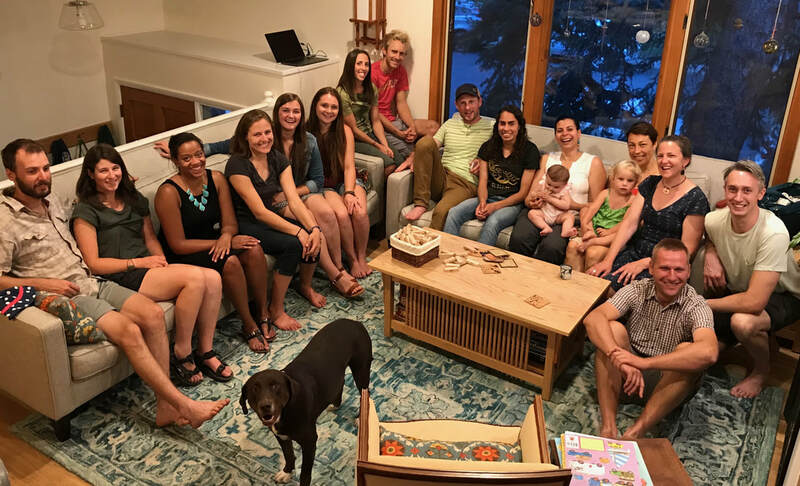 We had the opportunity to celebrate some visits from lab alumni (Iris and Toshi from Georgia, a surprise visit by Joey from Missouri, Kyle from not so far away), to celebrate the return of Javan from his month-long trip in Mongolia, and to wish Liz and Amanda farewell! Its been a busy and productive summer. Glad we could have one more dinner (Morrocco-themed) to celebrate everyone's successful summer! Farewell to Peter and family! 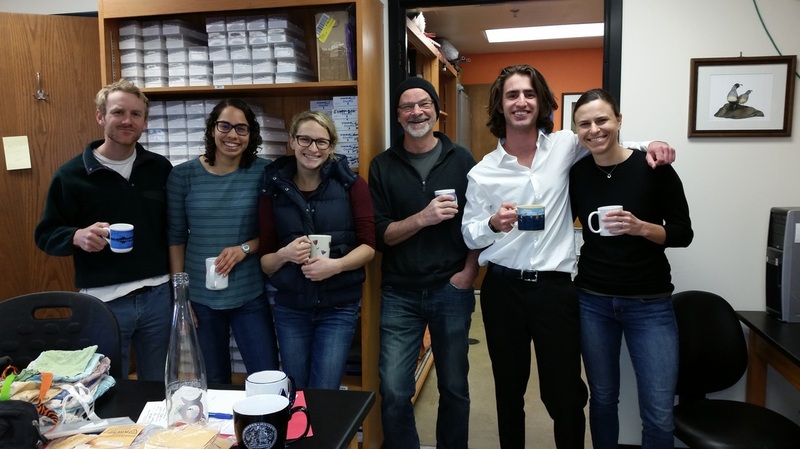 Peter Pap and family have been visiting the Safran Lab through a Fulbright Fellowship since January 2018. They arrived on a very cold and wintry night and will depart during a fairly dramatic heat wave! We've had so much fun working with Peter, meeting his terrific family, and continuing our collaboration on barn swallows. Last night we celebrated his time here with a get together, complete with traditional Hungarian and Jewish foods! Field Season 2018. We've been busy catching and tagging hundreds of barn swallows and observing their reproductive activities. 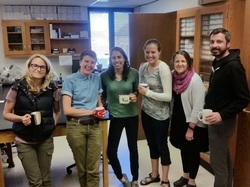 Huge thanks goes to Safran Lab members Angela Medina-Garcia [postdoc] and Molly McDermott [PhD student] who have been co-running this field season and Georgy Sememov [postdoc] and our amazing set of undergraduate assistants pictured above. From left to right: Hannah Dezara, Elena Deandrea [CU BSI student], Liz Gallegos [CU Smart student from CSU Monterey Bay], Abby Marynowski [CU BSI student], Katie Sanko [U CA- Berkeley]. 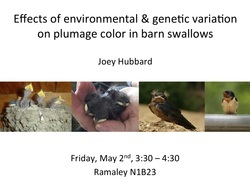 In the meanwhile, other lab alum are working on barn swallow or other swallow projects of their own! 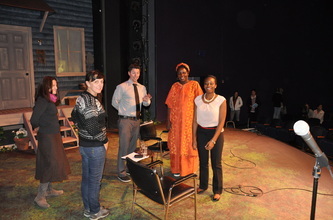 Check them out here [Iris Levin, Agnes Scott College], here [Joey Hubbard, Truman State University], here [Maren Vitousek, Cornell University], and here [Liz Scordato, Cal Poly Pomona]. Check out fun blog posts from the field by recent lab PhD Amanda Hund and Liz Scordato who recently traveled to Malaysia to work on Pacific swallows, a close relative of the barn swallow. Finally, Javan Carter is off for a month of field sampling in Mongolia with Scott Edwards and the Harvard Museum of Comparative Zoology! Stay tuned for more news from Javan. First day of banding 2018! The birds are making their way back from migrating thousands of miles south of Boulder and starting to breed earlier than they have in the past few years! A combination of warm rain and sunny weather is good news for barn swallows! Javan, Molly, Georgy, Becca and Ayla (Becca's 11-year old) were out to catch the first birds of the season! Javan handling his first ever barn swallow! Georgy with his first North American barn swallow! He has banded plenty of Asian barn swallows in Russia and Mongolia. 3 May 2018 Lab organization day! When and how does the field season get started? Long before the birds arrive! 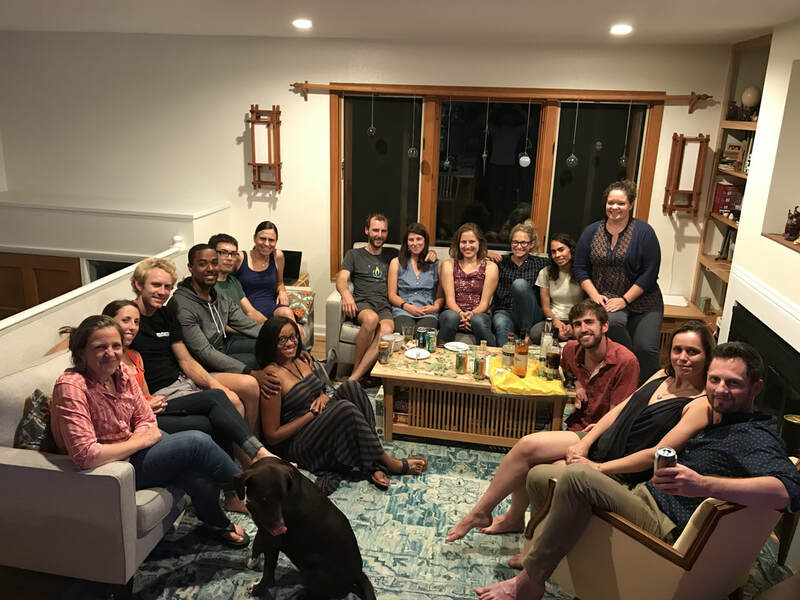 Everyone pitched in to completely inventory and organize all our lab and field equipment for our busiest time of the year: summer field research! Thanks for all the great help everyone! ​May 2018. Sheela passed her comprehensive exam and she is now officially a PhD candidate! Congrats! 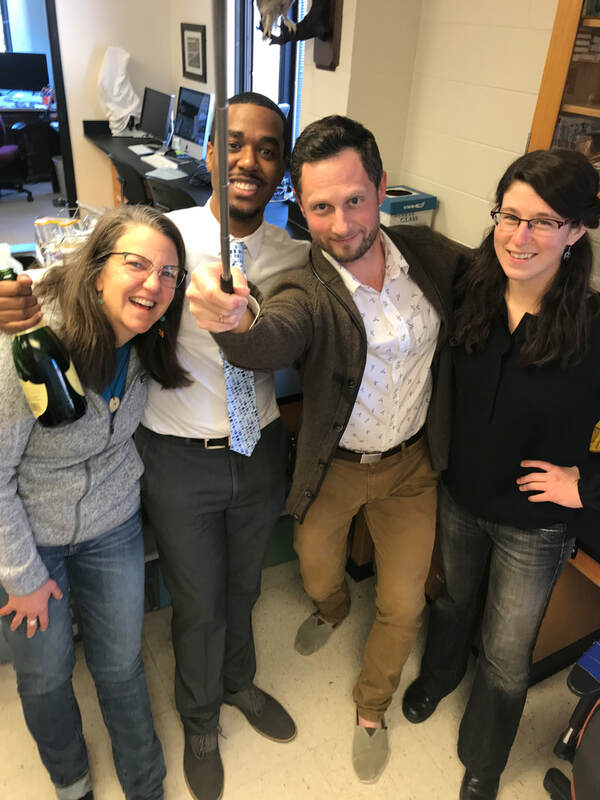 Safran lab grad students were very successful in getting research and travel awards this spring. The list of funders includes American Ornithological Society, American Genetics Association, Beverly Sears, British Ornithologists’ Union, Colorado Field Ornithologists, American Museum of Natural History, National Geographic, University of Colorado United Government of Graduate Students, Center for the Study of Origins, NEST Studio for the Arts and CU Ecology & Evolutionary Biology department. Well done, team! In the meanwhile, the lab is getting ready for upcoming field season - Barn Swallows are back to Colorado and are waiting for keen researchers to unravel their evolutionary secrets. April 2018. 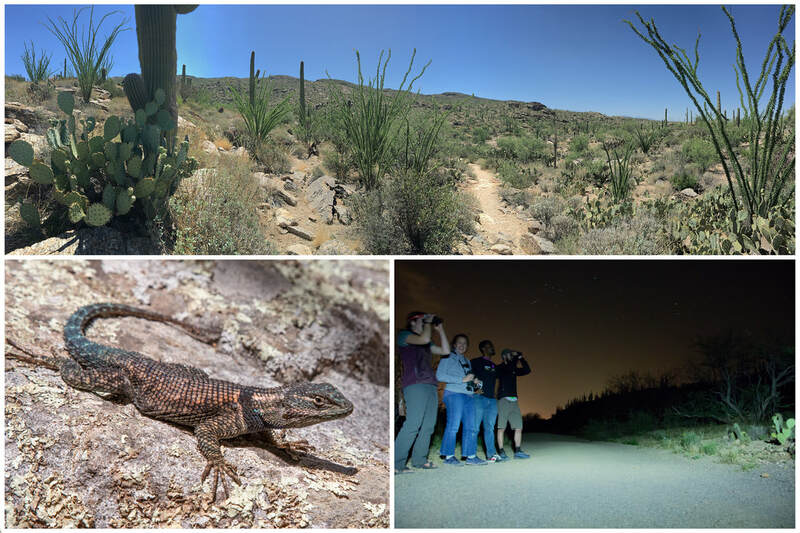 We had an awesome time at the AOS 2018 meeting in Tucson! Becca, Sheela and Georgy gave talks spotlighting the topics of avian hybridization and speciation, and Molly presented a poster discussing connections between migratory behavior and sexual signals. We also had some fun checking out the local birds! Feb 2018. Welcome to new lab members, postdocs Angela Medina-Garcia, Georgy Semenov and Fulbright Fellow, Peter Pap. Lots of birthday celebrations this month! One of many February birthday celebrations! From left to right: Javan Carter, Sheela Turbek, Peter Pap, Angela Medina-Garcia, Georgy Semenov, Molly McDermott, Amanda Hund, and Becca Safran. Presenting.... Dr. Hund! Amanda defended her PhD yesterday (5 September 2017)! Amanda gave an awesome dissertation seminar on 7 September! Way to go, Dr. Hund! 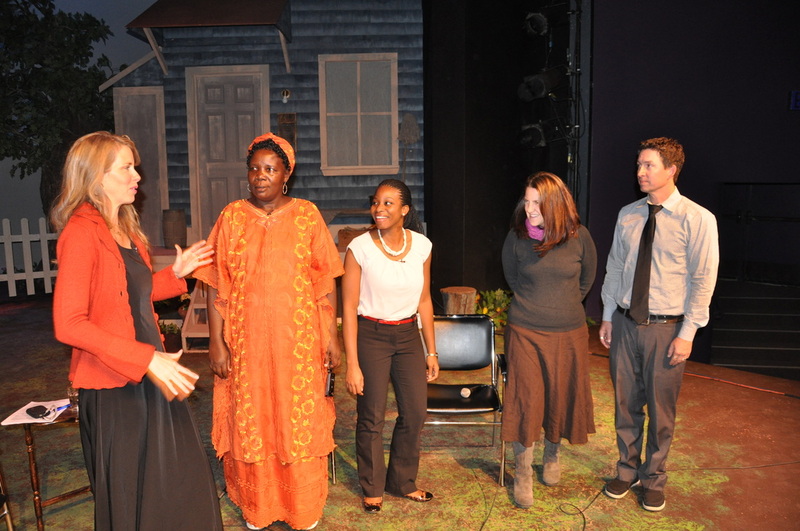 From left to right: Molly, Scott, Liz, Dr. Hund, Becca, Javan. August 2017. As usual, we've all been so busy that its been hard to find the time to update this website! 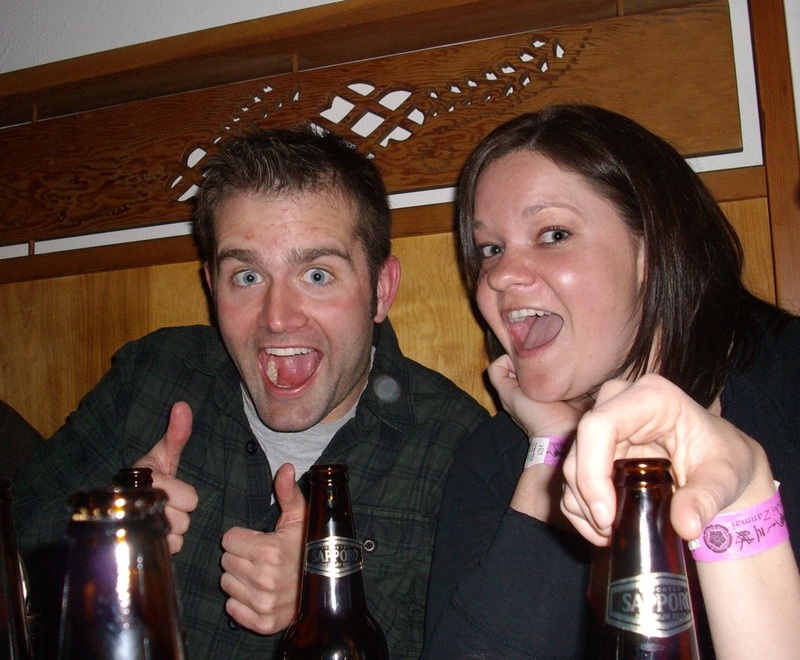 So much good news to share: Liz and Joey both got tenure track jobs last spring! Joey is now an Assistant Professor at Truman State University! Liz will join the faculty of Cal Poly, Pomona in January 2018! 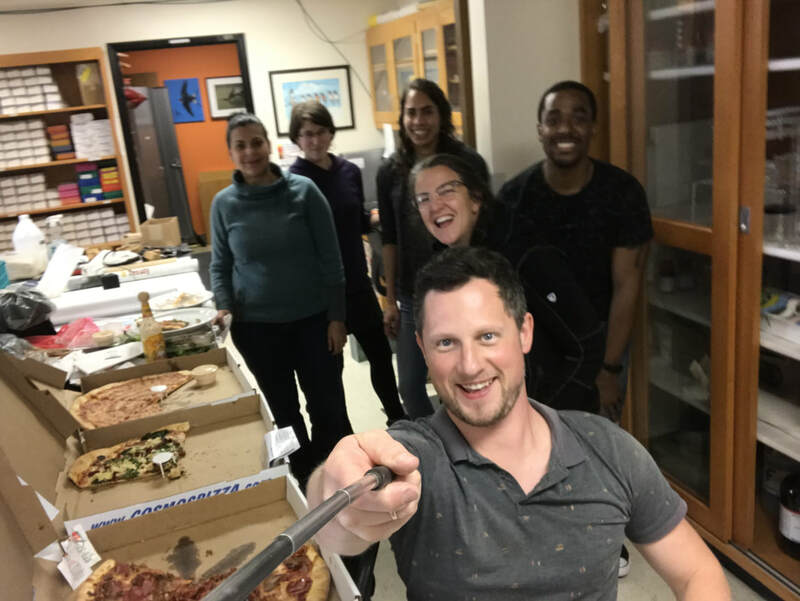 Matt has recently moved to Vanderbilt University to take as a Postdoctoral Fellow in the Center for Science Outreach! Amanda was awarded not one but TWO different dissertation completion fellowships! She is defending her dissertation on 5 September; her dissertation seminar will take place on 8 September! Many of us traveled to Minnesota in August for Amanda's wedding on her family farm [pictured here]. Sheela and I traveled to China and worked with Liu Yu for about a month in May where we recaptured geolocator tags placed on barn swallows along a transect in the Gansu Province. Check out various blog posts related to this amazing and successful adventure and the slideshow below! 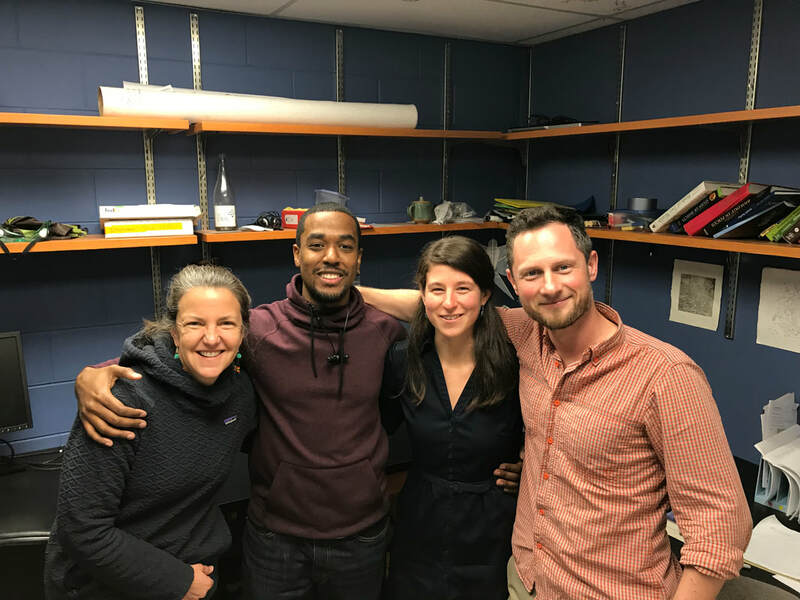 Last but not least: we have several new members of the lab to welcome this fall: Javan Carter and Molly McDermott joined the lab as new PhD students! 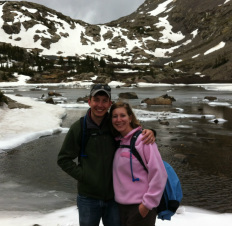 Angela Medina Garcia has moved to Colorado and will officially start her NSF postdoctoral fellowship in January. Sheela aces her third semester exam and is off to Argentina to study Capuchino seedeaters. Congratulations, Sheela! Fall 2016. Well, we have been BUSY! So busy, that there hasn't been too much time to update this part of the website. What's been happening? All kinds of great travel for field work on barn swallows including to Egypt (Amanda, Liz), Morocco (Liz, Sheela), China (Liz, several times, and more recently, Sheela and David). ​The barn swallow genome is now complete and our first genomics papers are now in print (see Safran et al. 2016, Molecular Ecology, and Wilkins et al. in press, Journal of Evolutionary Biology). Much more to come, very soon with a very cool new paper on hybrid zone dynamics led by awesome postdoc, Liz Scordato. Iris is off to her new amazing job as Assistant Professor of Biology at Agnes Scott College in Decatur, Georgia. Kyle completed his BA-MA degree in May and spent a summer working in Alaska. Sheela was awarded the NSF Graduate Fellowship and did fieldwork in Morocco, Colorado, and China during summer, 2016. Amanda received a NSF DDIG grant to do a huge gene expression field experiment which she completed in summer, 2016 with a huge crew of two NSF REU students and three NSF RET teachers. 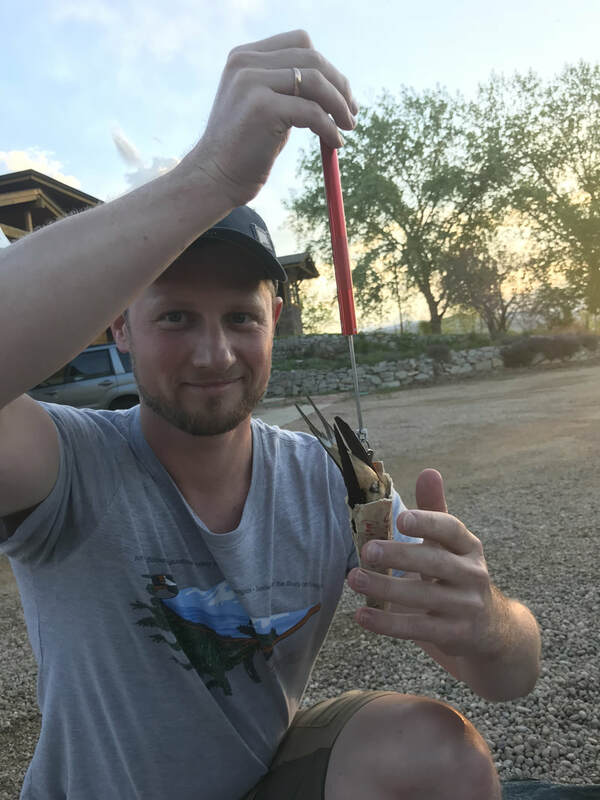 During the spring and summer of 2016, David continued his cool work on hybridization in quail in the deserts of California. Trevor Price comes to hang out! [spring 2016]. Just in time to congratulate Kyle Donahue on his MA defense! Well done, Kyle! Joey successfully defended her dissertation in October 2014! Fall 2014. 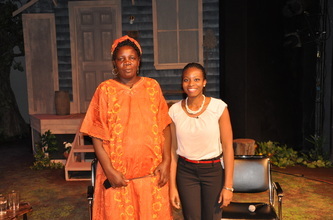 Its been a wonderful term! 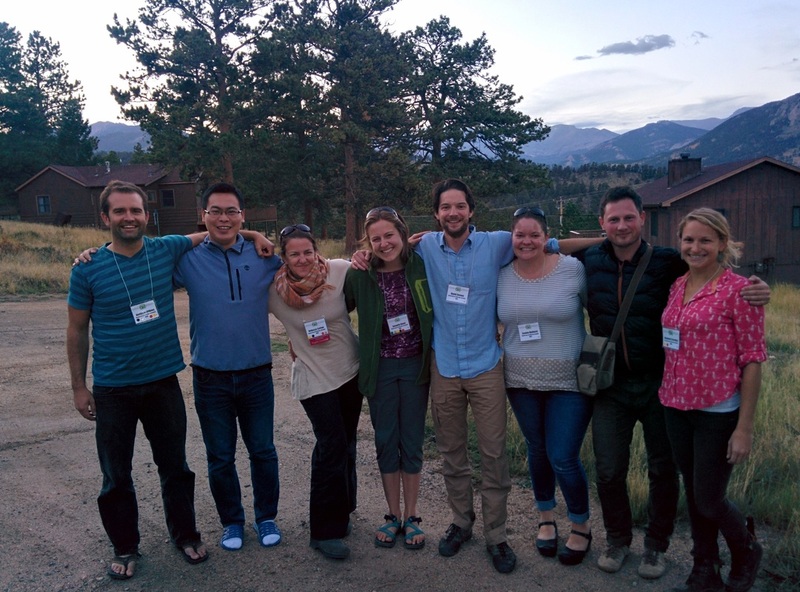 Our lab went to the Ornithology meetings in Estes Park in September where we introduced two visitors to our lab (Liu Yu from China and Georgy Semenov from Russia) to the Rocky Mountains! Iris Levin joins the lab as a NSF postdoctoral fellow. We had a lot of fun learning the ropes of deploying encounternet proximity tags on barn swallows during May and July! Matt received a postdoctoral research fellowship at the University of Nebraska-Lincoln School of Biological Sciences. He will be leaving the world of the barn swallow to work with Drs. Dai Shizuka and Eileen Hebets in studies of complex signal evolution in Schizocosa wolf spiders. Congrats, Matt! April 2014. Amanda, Joey and Becca travel to the Czech Republic to visit with our collaborator Tomas Albrecht and his wonderful group. May 2, 2014. Joey gives her exit talk! she will defend her dissertation in early October 2014. 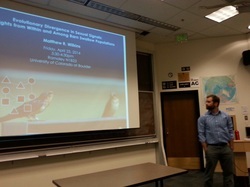 Matt successfully defended his dissertation on April 18th and gave a terrific public talk on April 25th! Its been a busy month around here! We (finally) moved in to our newly renovated lab space (lots of room for benchwork) and are getting settled in. David Zonana is awarded a National Evolutionary Synthesis Center fellowship for Fall 2014. Joanna Hubbard is awarded a teaching position in our department for the Fall 2014 as part of our new GTPI program! 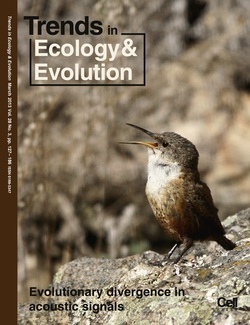 Rachel Bradley's (formerly Wildrick) first chapter of her BA/MA degree is OUT in Ethology! 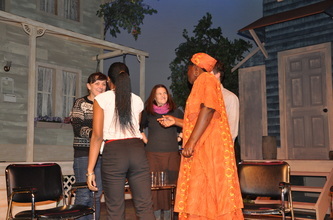 Inside the Greenhouse hosts the Climate Wise Women! Thank you to the editors of Science for highlighting our current paper in Biology Letters! August 25 2013. 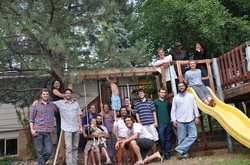 Everyone is back safe and sound from a busy busy summer of research near and far! Summer sampling expedition across Russia! 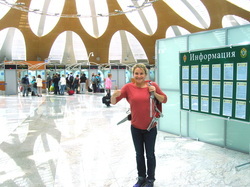 May 16, 2013-- Matt Wilkins and Liz Scordato are now in Russia, undertaking a 2.5 month transect across Siberia. They will be sampling across contact zones between three subspecies for our ongoing research on sexual selection and speciation. Read more and follow their progress at: barnswallowproject.com! 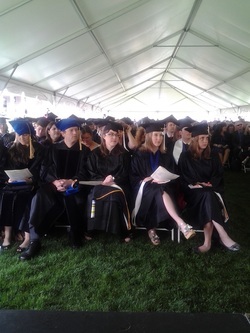 9 May 2013 Rachel Wildrick successfully defends her BA/MA and graduates from CU! 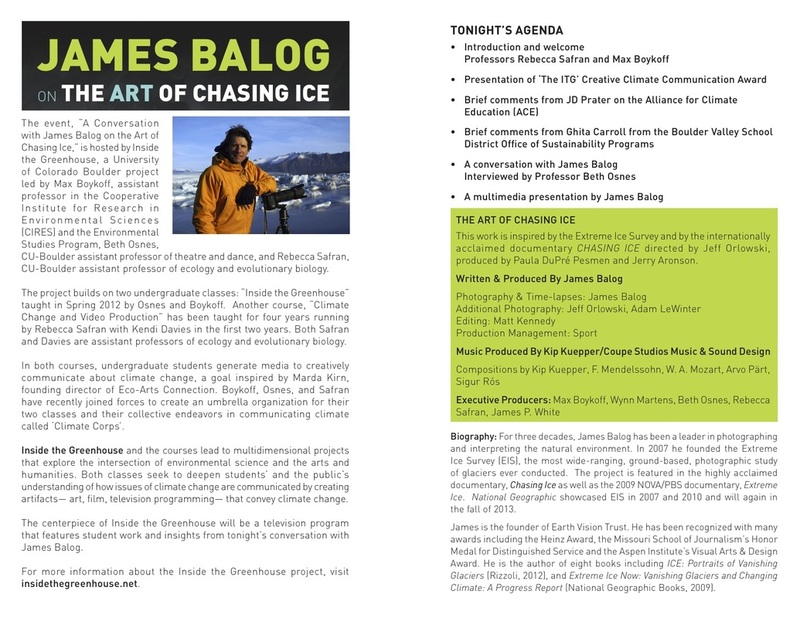 Inside the Greenhouse collaborators Beth Osnes, Max Boykoff and Becca Safran roll out their first presentation on creative climate communication, featuring James Balog. See our handout below. 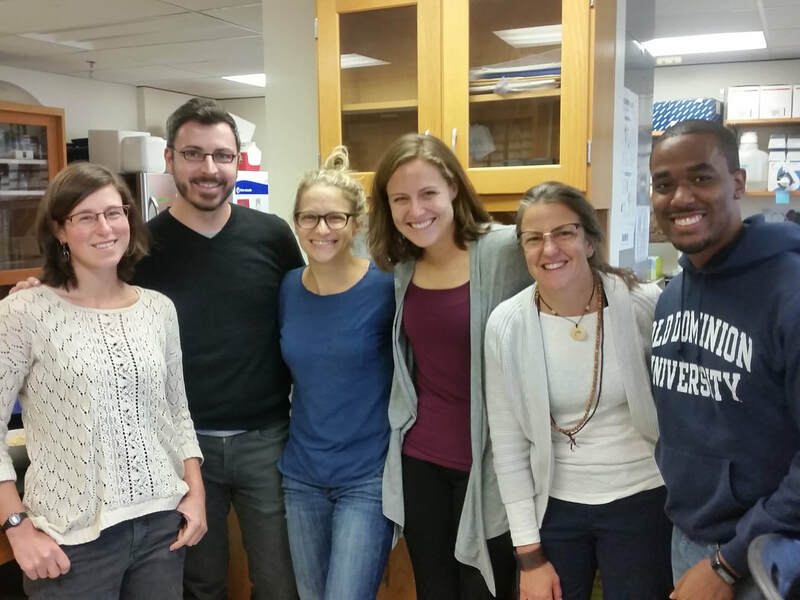 All three Safran Lab Ph.D. students are awarded Beverly Sears Grants for summer research! Go Amanda, Joey and Matt! Matt and Joey at their finest! Amanda Hund aces 3rd semester exam! and is awarded research funding from the American Museum of Natural History! 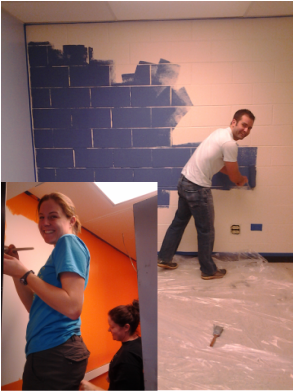 Joey and Amanda go crazy with the orange paint while Matt personalizes his office in assorted blues! Yes, these are barn swallow colors! Dec 2012. Brittany graduates with her M.A. in EBIO! 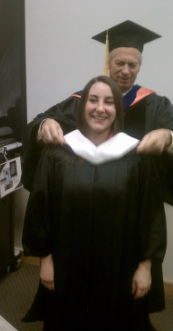 Here is a photo of Mike Breed hooding Brittany at the December graduation ceremony in EBIO! Congrats Brittany! Brittany is headed to the University of Wyoming where she will be a professional research assistant doing work in endocrinology! Nov 2012 Brittany defends her MA thesis! Brittany did a super job on her MA thesis defense! She will graduate in December. Congratulations Brittany! 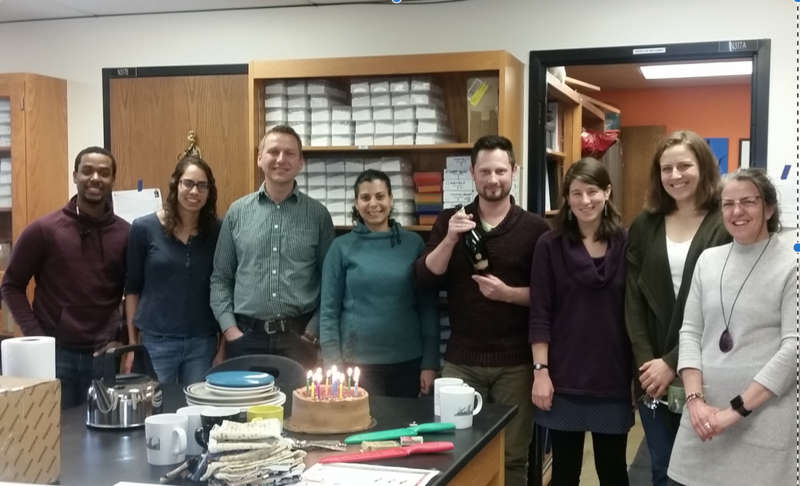 A fond farewell to Dr. Maren Vitousek who has recently moved to Cornell. We'll miss you Maren! 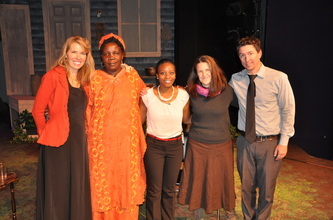 Nov 2012 Liz Scordato joins the lab! Liz Scordato recently completed her PhD with Trevor Price at the University of Chicago and joined us to work on the genomics of speciation. Welcome Liz! 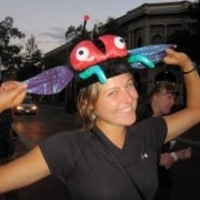 Nov 2012 Rachel Wildrick aces her qualifying exam! ... and is now completing her BA-MA degree and planning her wedding!